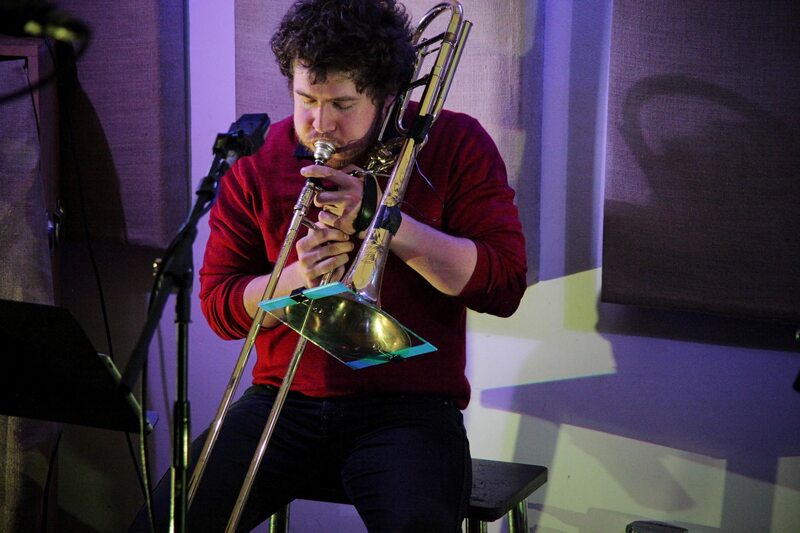 Weston Olencki is a New York City based trombonist specializing in the performance and production of new music. His work is primarily concerned with hyper-extended instrumental technique, intensive performer-composer collaboration, object-oriented performance, feedback and noise, and alternative concepts of physicality within acoustic and electronic media. He is a member of Ensemble Pamplemousse and has performed with Ensemble Dal Niente, Wet Ink, wildUp!, Fonema Consort, SFCMP, and wasteLAnd. Weston is a recipient of the Kranichsteiner Musikpreis (2016) and a Stipendiumpreis (2014) from the Internationales Musikinstitut Darmstadt (IMD), and has been in residence through the University of California Santa Cruz, Harvard (HGNM), and Stanford Universities. He holds degrees from Northwestern University (B.M.) and the San Francisco Conservatory of Music (M.M. ).